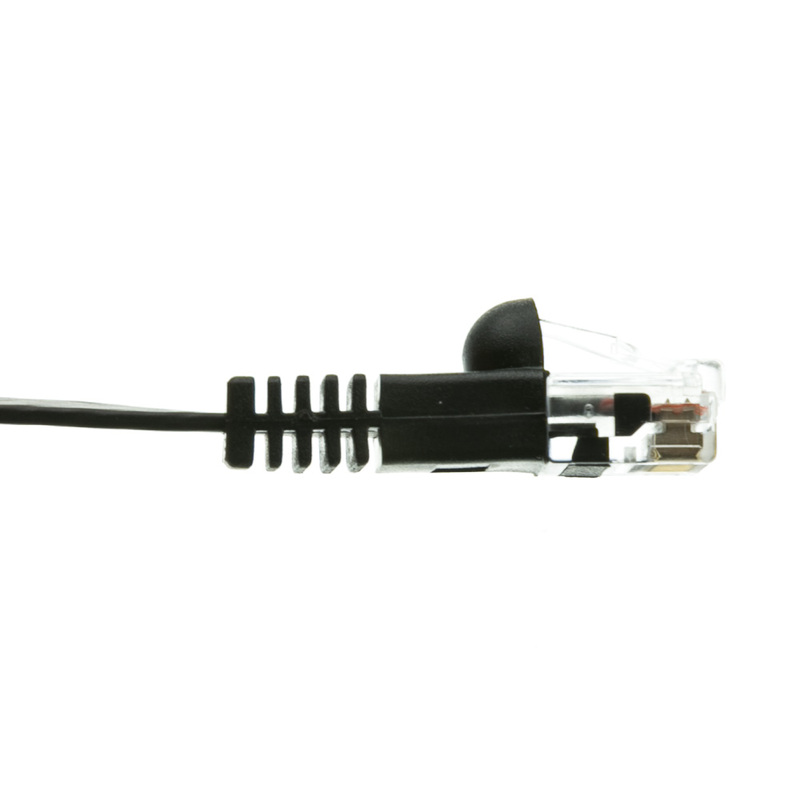 This 1 foot black cable features a flat body (only 1.8mm thick) for running on the floor or against baseboards. 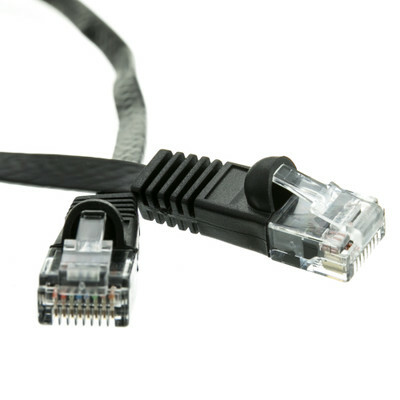 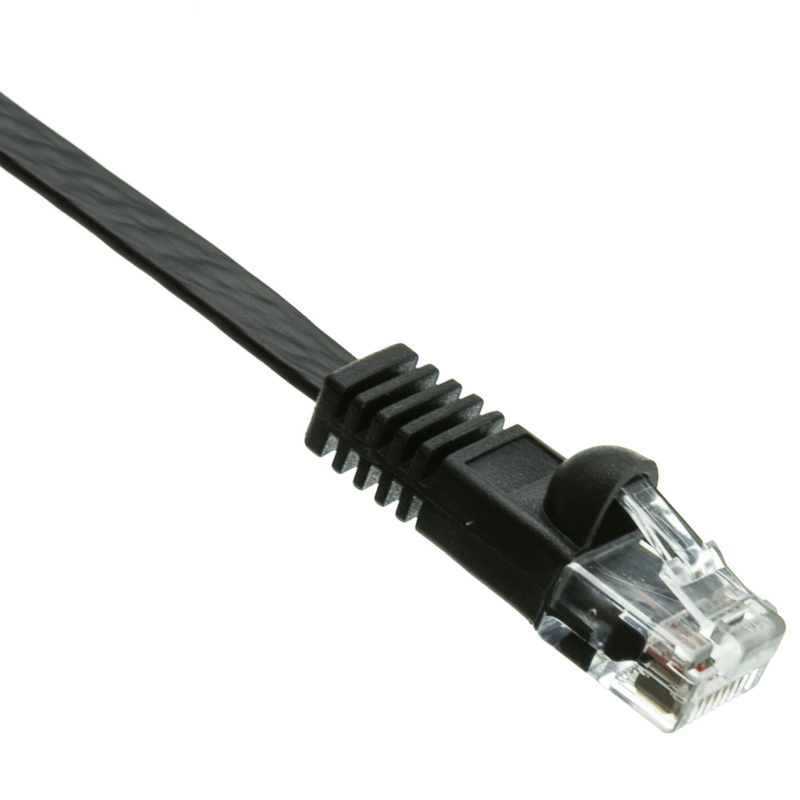 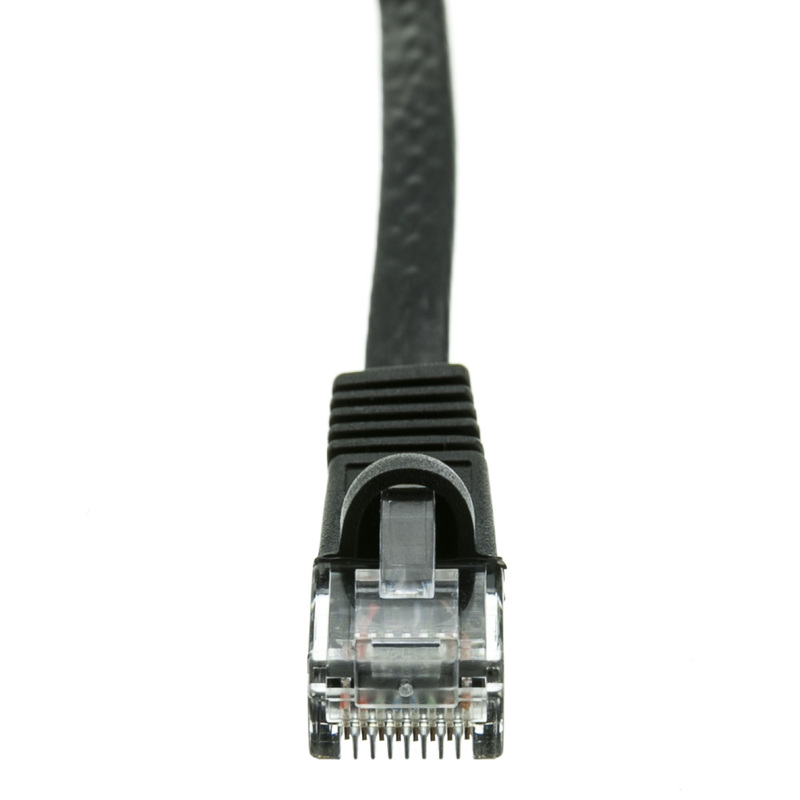 Cat6 cables can support 10 / 100 / 1000Mbps. The cable has stranded 32 AWG (American Wire Gauge) conductors for greater flexibility.